FLOAT was designed by Lakes Welds (Lakes Entrance) in collaboration with Artistic Director Catherine Larkins, Rory Bolding, Cameron Robbins and a team of artists and architects. Plans approved by Naval Architect Chris Tucker Marine Design Pty Ltd. 8 May 2017. FLOAT was built by the most experienced boat building team in East Gippsland - expertly led by Dean Jakobi @ Lakes Welds and Rory Bolding. The project was completed with the generous support of local tradespeople and volunteers. > DETAILS. FLOAT’s Safety Management Plan has been produced the region’s most respected OH&S Consultant Sandy Boswell. > DETAILS. See FLOAT’s Safety Management Plan here. (64 pp. PDF). Hulk anchors were installed by Kina Diving - Commercial, Scientific, Diving & Marine Services - with Gippsland Ports approval. > DETAILS. We are here because of the ongoing support of East Gippsland Shire Council and Department of Environment, Land, Water and Planning. (DELWP). Locally we work with the Lake Tyers Beach Hall Committee, Oneonta Committee, Lake Tyers Coast Action Inc with the support of the Waterwheel Tavern and the 60 Tavern Tuesday attendees who inform our planning. > FLOAT FUTURE working group to meet monthly to address ongoing regulatory requirements, to oversee the vessel’s maintenance program and to plan for our role in environmental monitoring and nature based tourism. > FLOAT BIZ working group to manage the social enterprise that will sustain the FLOAT VESSEL ART & RESIDENCY PROGRAM. > FLOAT OPERATIONS working group to care for the vessel and support our Artists in Residence as community volunteers. The F.INC committee : Jessee John (Treasurer), Caroline Crunden (Secretary), Kellie Lawler, Jill Hermans, Andrea Lane, Josephine Jakobi and Tristan Hennessy. We are proud East Gippsland Art Enablers. We have initiated and developed these projects over the last 10 years, as we’ve become F.INC. All of this has allowed us to produce FLOAT - in all its glory. We have long believed in the East Gippsland experience, and worked hard to create an inspired destination for creatives who love their environment. In 2012 we were selected to be part of the Social Traders CRUNCH program. We spent 6 months designing our GLAMPING business plan.. We launched the (F)ROUTE *CAMPSTER* design competition that drew entries from around the world. We then crowdfunded the creation of the prototype (F)ROUTE POD in partnership with Giant Grass & local canvas company Canvas Barn. We won design awards, manufacturing awards, travelled it to Korea - and well the whole thing went a bit viral. We learned a lot - about everything - and made our mark in the world of social enterprise. F.INC has joined forces with GRAS to strengthen the FLOAT impact across Gippsland. We are both small arts organisations committed to a flourishing arts ecology in Gippsland. F.INC has become renowned for its ‘F’ philosophy – which has forged iconic happenings – such as (f)route and FROUTEVILLE. FROUTELAND. Most notably we continue to attract new young creatives who learn the ropes – then flourish – with their own ideas. 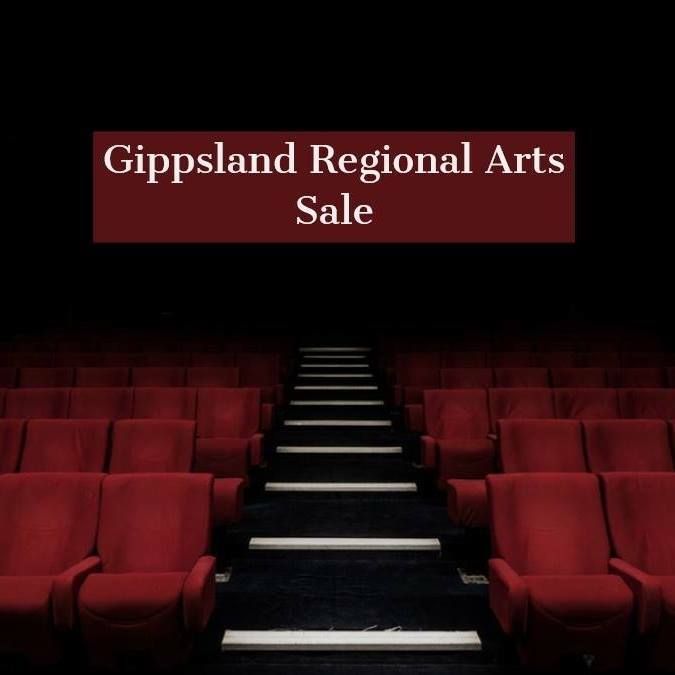 GRAS – Is a not for profit Arts Organisation with a Gippsland focus having conducted several festivals and events including Waterwater Festival in Sale and Golden Moments program at Wellington Entertainment Centre over previous 5 years. Last year partnered with OzOpera to produce "Madame Butterfly" in Yarram using local children from all local schools. With strong connections to local artists through Golden Moments and Sale Theatre Company we are keen to develop strong links with F.INC to share opportunities and mentor local artists. Together we are able to leverage and strengthen our Gippsland-wide networks. We each have strong relationships with our local and regional art galleries (in Sale and Bairnsdale) – but we love our small communities. Our members have strong ties to Lake Tyers – and have collaborated continually throughout the birth and development of the FLOAT project.